Bitumen Mixing Plant mainly including batching systems, drying systems, burning systems, hot material enhance, vibrating screen, hot material storage bins, weighing mixing system, asphalt supply system, powder supply system, dust removal system, finished product storage bin,control system and other parts. By functions, the bitumen drum mix plant can be divided as stationary drum plant and mobile drum plant. The screen mesh is made from manganese steel with high strength; convenient for replace and maintenance. Driven by two motors which are installed onto the screen, exciting force will be coupling automatically. Aggregate supply system adopts modularization structure and frequency conversion timing, making material delivery smooth. Without phenomenon such as block, obstruct and so on. Frequency conversion timing with credible capability; modulerized design will be convenient for transport. Outside the drying drum is covered with a 50mm heat preservation structure. Professional designed lifting blades inside the drum, which can promote thermal efficiency. Temperature detecting device is equipment beside the outlet of the drum. 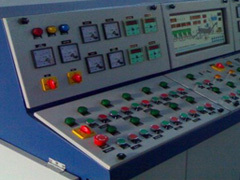 The advanced control interface, industrial monitoring system and international famous brand electrical elements compose the operation system, so the operation system is much more reliable. International brand oil burner (could use both diesel and heavy oil), full automatic control. The coal burning system which possesses independent intellectual property rights, help the customers reduce the production cost.